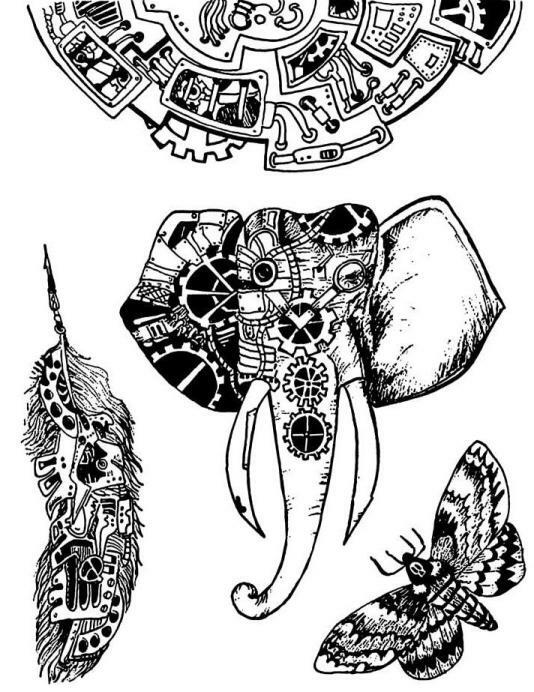 Stack on the style with these Amy Butler Lotus adhesive chipboard words and shapes! Designs on one side, self-stick adhesive on the other. 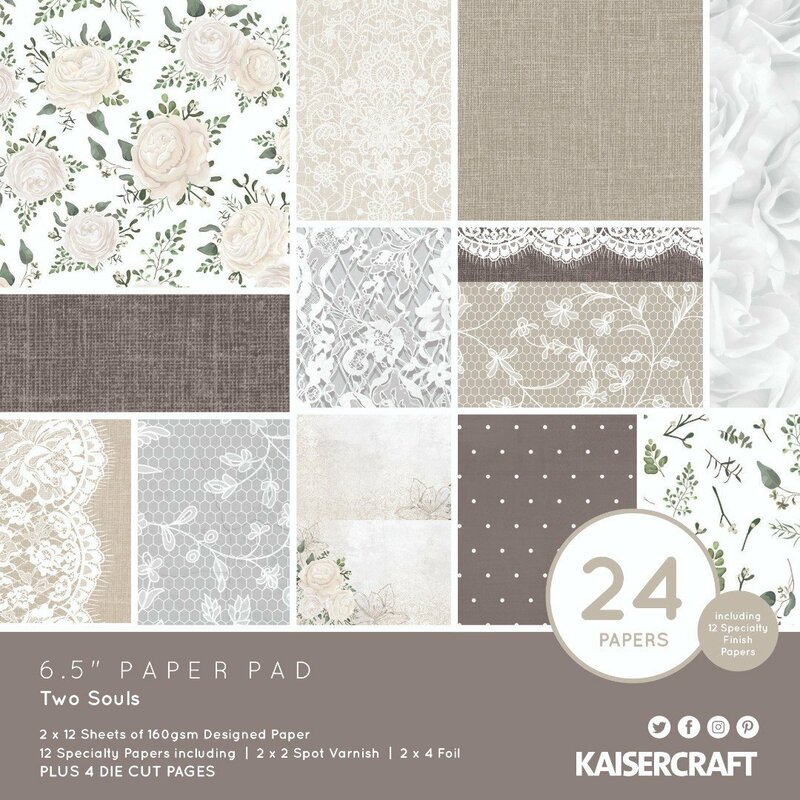 Perfect for layouts, handmade cards and more! Layered for added dimension, the chipboard is accented with sparkling glitter and rhinestones. Also includes one chipboard spinner. 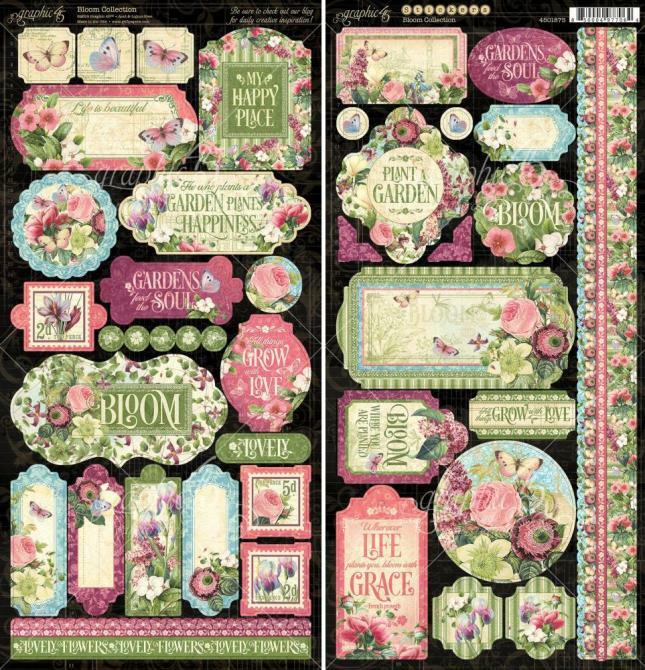 Stack on the style with these Cut 'N Paste adhesive chipboard words and icons! Designs on one side, self-stick adhesive on the other. Perfect for layouts, handmade cards and more! Stack on the style with these Rough & Tumble adhesive chipboard favorite phrases! Designs on one side, self-stick adhesive on the other. Perfect for layouts, handmade cards and more! These embellishments include a variety of Rough-&-Tumble-inspired colours and are layered for added dimension. 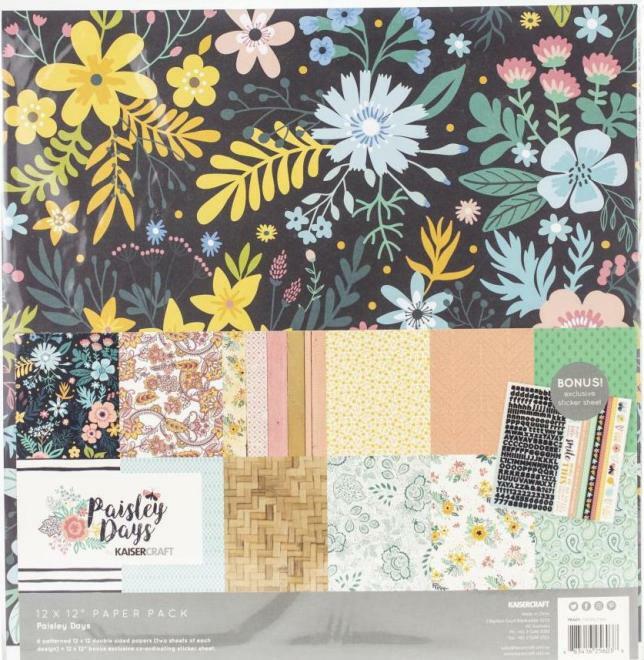 Stack on the style with these Berry Sweet adhesive chipboard icons! Designs on one side, self-stick adhesive on the other. Perfect for layouts, handmade cards and more! These embellishments include a variety of Berry Sweet-inspired colors and are layered for added dimension. 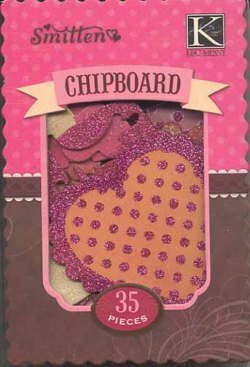 The chipboard is accented with sparkling glitter and rhinestones. 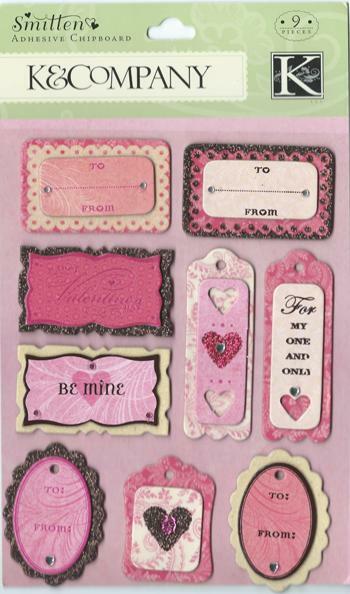 Stack on the style with these Berry Sweet adhesive chipboard words and icons! Designs on one side, self-stick adhesive on the other. Perfect for layouts, handmade cards and more! 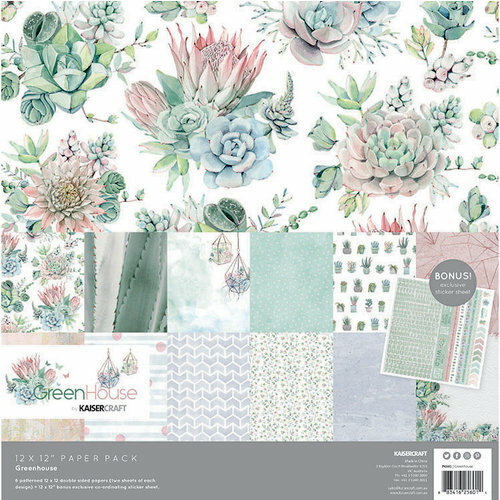 Stack on the style with these Berry Sweet adhesive chipboard images! Designs on one side, self-stick adhesive on the other. 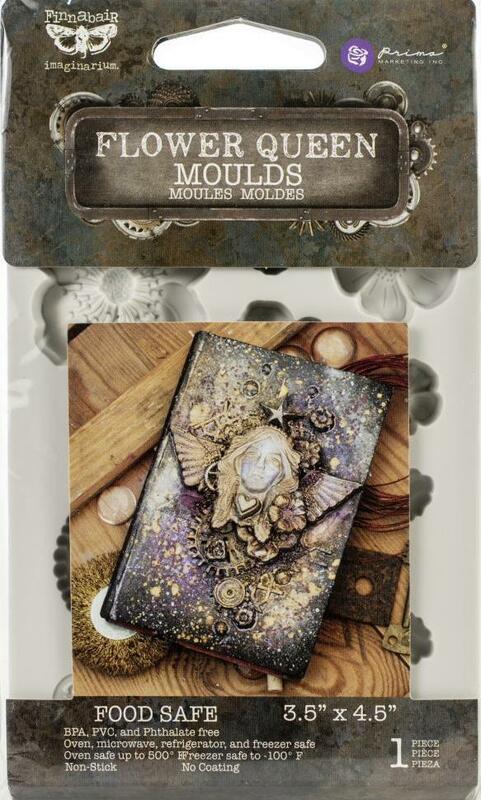 Perfect for layouts, handmade cards and more! These embellishments include a variety of Berry Sweet-inspired colours and are layered for added dimension. The chipboard is accented with flocking for a soft touchable texture. Stack on the style with these Sea Glass adhesive chipboard words and icons! Designs on one side, self-stick adhesive on the other. Perfect for layouts, handmade cards and more! These embellishments include a variety of Sea-Glass-inspired colours and patterns, and are layered for added dimension. Stack on the style with Urban Rhapsody adhesive, layered chipboard accents. 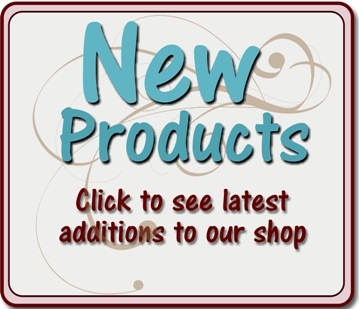 Perfect for scrapbook pages, tag books, accordion books, mini books, handmade cards and more. Stack on the style with Urban Rhapsody adhesive, layered chipboard flower accents. 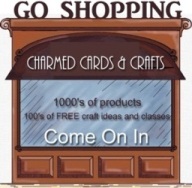 Perfect for scrapbook pages, tag books, accordion books, mini books, handmade cards and more. Stack on the style with Wild Saffron adhesive, layered chipboard button accents. 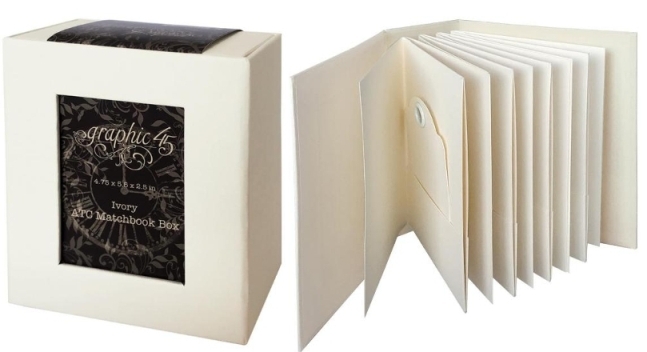 Perfect for scrapbook pages, tag books, accordion books, mini books, handmade cards and more. Stack on the style with layered, adhesive chipboard accents. 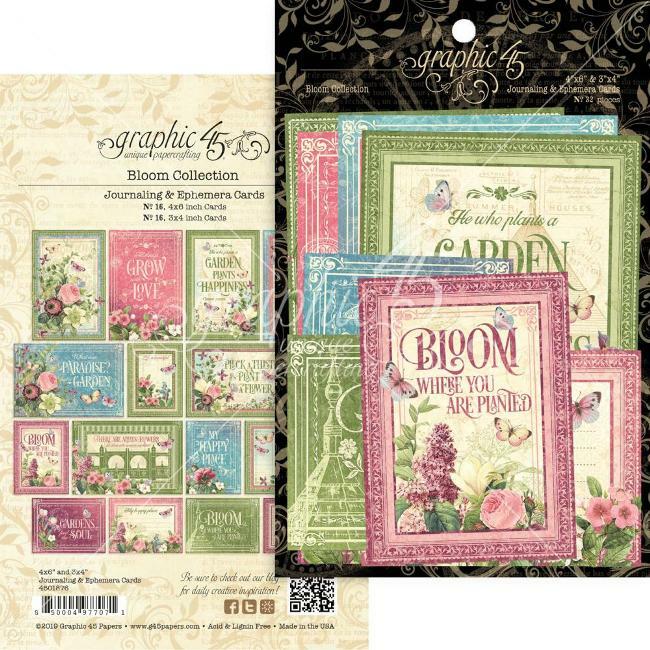 Perfect for scrapbook pages, tag books, accordion books, mini books, handmade cards and more! Friendship, family, love, special occasions and more! 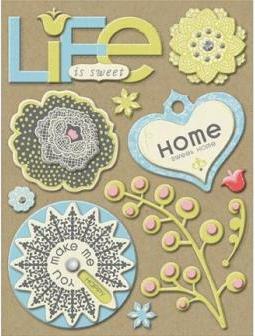 These die-cut cardstock shapes & tags make it easy to add dynamic dimension to your paper crafts. 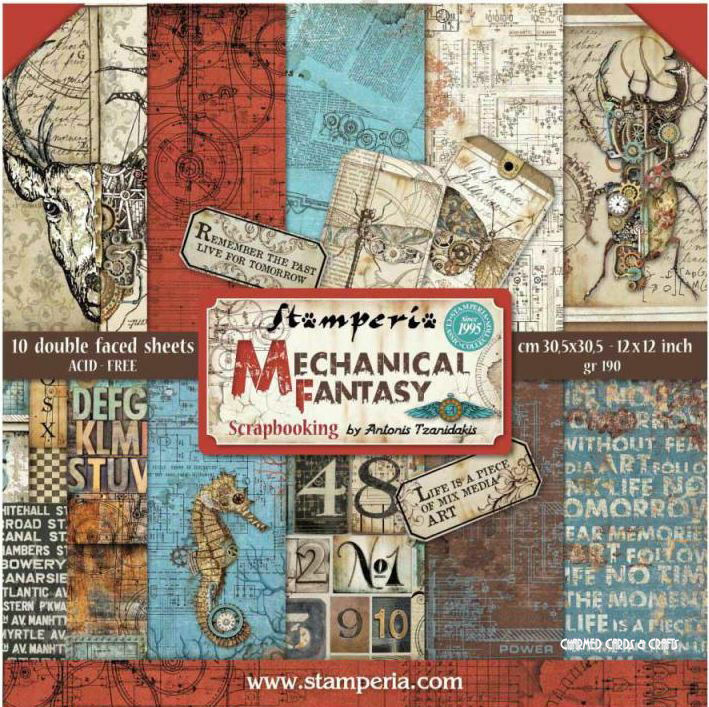 Both sides of each piece are pre-printed with full-colour patterns and textures to complement an array of themes and styles - how they're used it up to you! Whether it's layouts, cards or other creations let these great accents say it all!! Over 350 Shapes & Tags. Lots of Die-Cut Tabs , Clips and Slides in a handy metal container. Over 80 Pieces!! Another great product that's ready to grab & go! Chipboard To Go packs loads of what you love into a reusable, decorative window tin - perfect for keeping pieces organized! 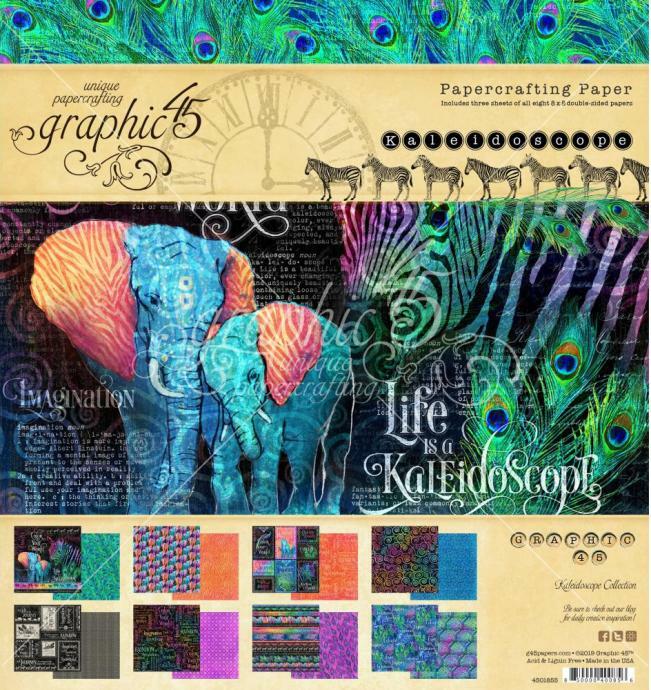 These heavyweight, die-cuts make it easy to add sturdy yet stylish dimension to paper crafts. 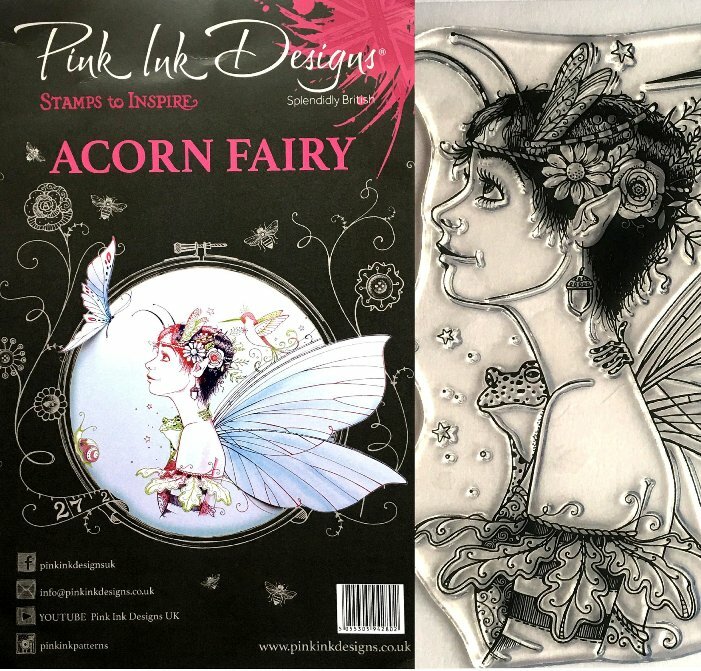 One side is pre-printed with full-color patterns, textures, images and words; the other side is ready and waiting for your imagination - paint it, dye it, glue it, glitter it - it's up to you! Stack on the style with Smitten glittered chipboard Icons! 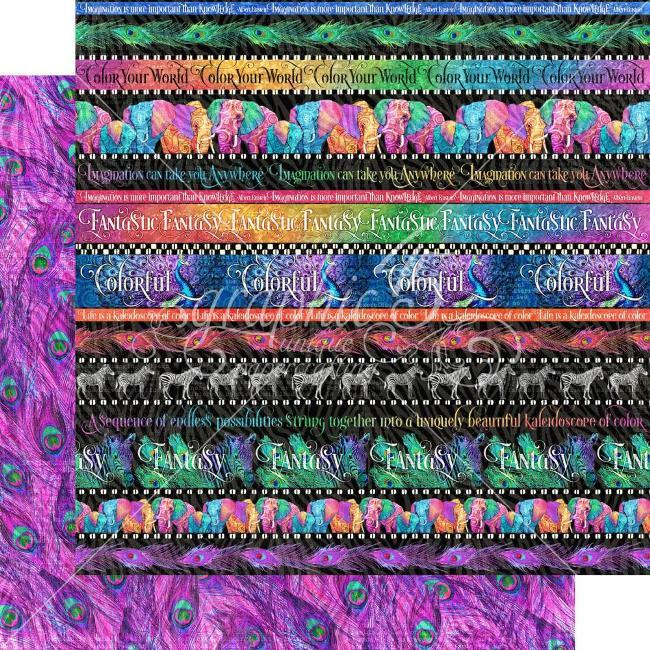 Perfect for scrapbook pages, tag books, accordion books, mini books, handmade cards & more! Chipboard is now easier than ever! These Happy Birthday 2U! 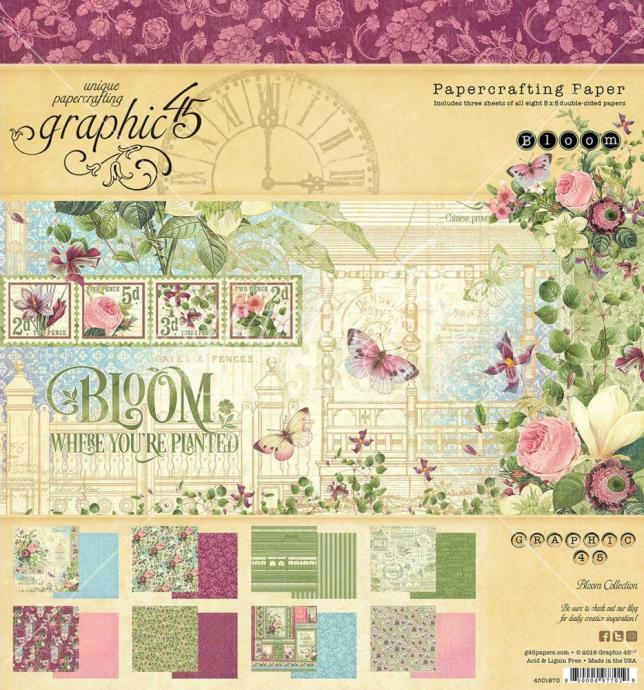 Icon heavyweight, die-cut chipboard accents make it easy to add sturdy yet stylish dimension to your paper crafts. Just peel, place and press! 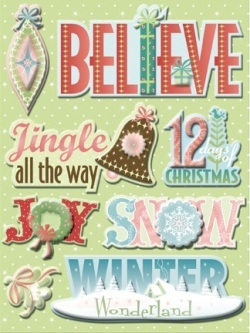 Stack on the style with these Swell Noel adhesive chipboard words and phrases! Designs on one side, self-stick adhesive on the other. Perfect for layouts, handmade cards and more!